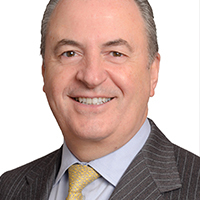 ﻿As president and CEO of GTECH International, Walter Bugno is responsible for the management and strategic development of the company’s International business throughout Europe (except Italy), as well as in the Middle East, Africa, and the Asia-Pacific region. Bugno joined GTECH S.p.A. (formerly the Lottomatica Group) in July 2010 as president and CEO of Lottomatica subsidiary SPIELO International, and in 2012, Bugno’s portfolio expanded to include the group’s interactive business. From 2006 to 2009, Bugno was the CEO, Casinos, for Tabcorp Holdings Limited, Australia's premier gambling and entertainment group. Prior to Tabcorp, Bugno was president of Campbell Soup Company in Asia Pacific from 2002 to 2006. Between 1998 and 2002, he was managing director – Australia for food and beverage company Lion Nathan.